What Role Does Transportation Play in the Region's Emissions? 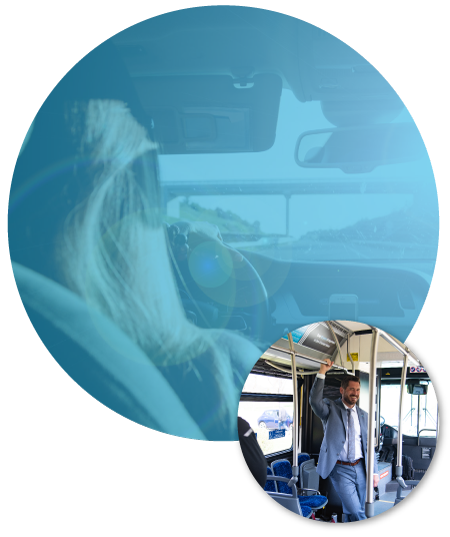 As of 2017, the transportation sector contributes more greenhouse gas emissions than any other sector of the US economy. 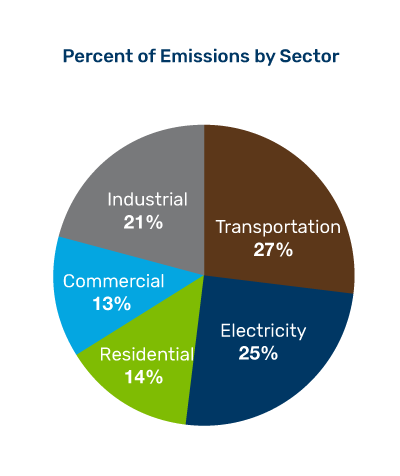 The vast majority of all transportation carbon emissions come from vehicles. This includes both shipping and consumer travel, and any other light-, medium-, or heavy-duty vehicle applications. Electric vehicles already use lower carbon-intensive “fuel.” The exact difference between electricity and gasoline or diesel fuels depends on the source of the electricity. For example, an electric vehicle charged by electricity from solar or wind energy is lower carbon than one charged by a typical generation mix. The Midcontinent already offers electricity that is a lower-carbon transportation fuel than gasoline, diesel, or compressed natural gas. Electric motors are far more efficient than motors powered by fossil fuels. This means that less energy is wasted, and more energy is used to move the electric vehicle than in internal combustion counterparts. This higher efficiency contributes to the carbon advantage of EVs. For the most part, electric vehicles are driven the same number of miles as their internal combustion counterparts. 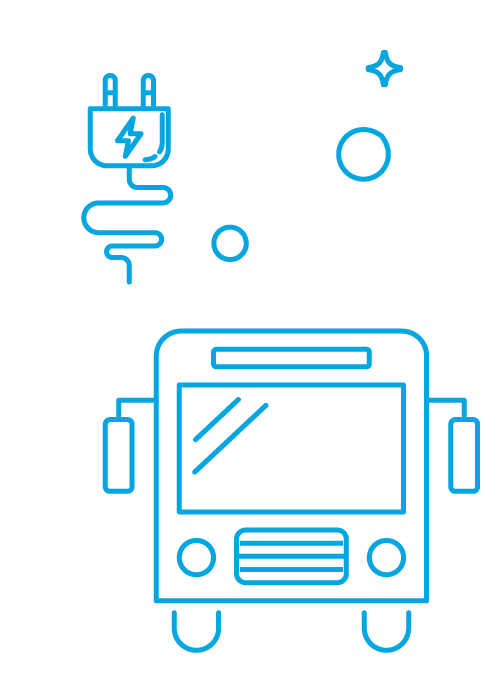 Because vehicle miles traveled (VMTs) are a factor in carbon emissions, measures that reduce VMTs will tend to reduce emissions associated with EVs, except in the instance where 100 percent of the electricity used to charge the EV is renewable or zero-carbon electricity.